→ Supporting emerging civil society through internships with established civil society organisations, so as to help these staff to make their CSOs more effective and efficient. 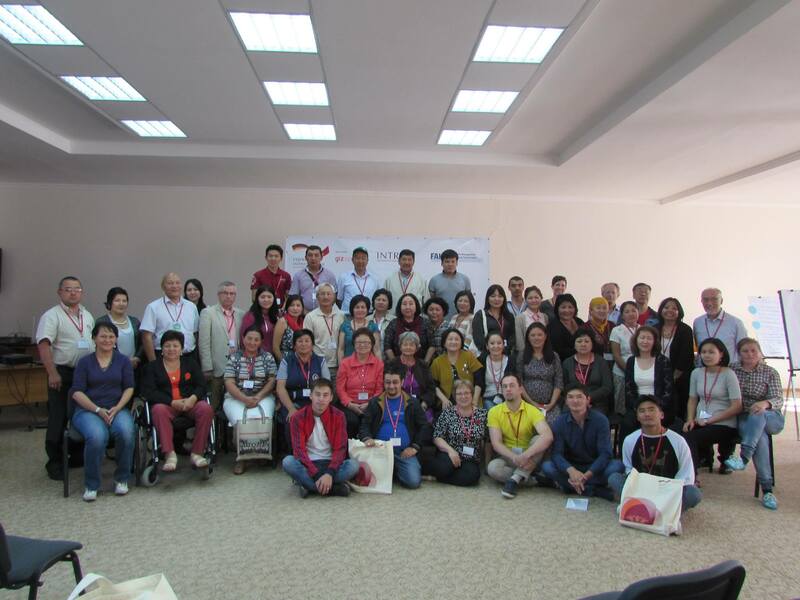 → A regional workshop for CSOs from Central Asia focusing on strategies to strengthen civil society in three thematic fields (organisational development, financial management and resource mobilisation, partnership building). This was preceded by three mini-workshops at oblast level and aimed at creating a more conducive framework for local civil society. → A set of interventions of training, mini-grants and accompaniment and the revision of an existing manual to promote social entrepreneurship by civil society, contributing to the main objective through an enhanced role in service provision and increased financial sustainability of CSOs. → Building training capacity for civil society through the training of master trainers and creation of training manuals in four topics: organisational development, financial management and resource mobilisation, effective communication and public relations, and partnership building and stakeholder involvement. The project and CSOs established good relations with local self-government, oblast administration and the national agency for local government and ethnic relations. The interim results of training workshops have shown that small local NGOs are very keen to get new knowledge and have a good idea of what social and economic problems they want to solve.